Jo is a dynamic, personable individual with strong sales and marketing skills that she consistently puts to work for her the benefits of her clients. *Home Staging~ Including what should stay and what should go. Color choices and Repairs, etc. *Open Line of Communication...Jo LISTENS TO YOU and is timely to responding to voicemails and texts. selecting the right agent is PARAMOUNT! 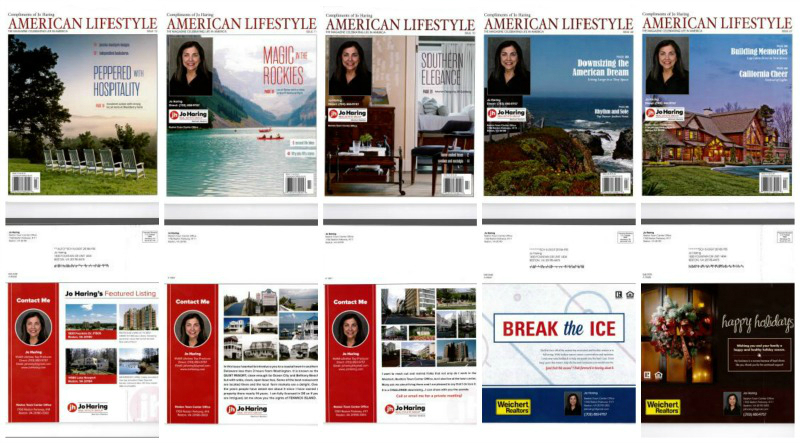 Click HERE if you'd like to order your FREE American Lifestyle Magazine - Courtesy of Jo Haring!